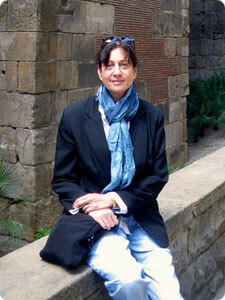 Professor Barbara Held is both a clinical psychologist and a theoretical/philosophical psychologist. In her teaching she emphasizes theory and research about personality, psychopathology, and psychotherapy. She teaches courses in introductory psychology, personality, abnormal psychology, clinical psychology, and philosophical psychology. Her scholarship focuses on theories and philosophies of psychology and psychotherapy, especially the nature of psychological/mental states and processes, how to change them therapeutically, and what we can know about them in ourselves and in others. She has served as the 2008 - 2009 President of the Society for Theoretical and Philosophical Psychology (Division 24) of the American Psychological Association. Held received the 2012 Joseph B. Gittler Award, which recognizes “the most scholarly contribution to the philosophical foundations of psychological knowledge,” by the American Psychological Foundation, of the American Psychological Association. She has served as the 2008 - 2009 President of the Society for Theoretical and Philosophical Psychology (Division 24) of the American Psychological Association. Professor Held is the author of Back to Reality: A Critique of Postmodern Theory in Psychotherapy (W. W. Norton, 1995), in which she provides theoretical and philosophical analysis of the postmodern linguistic turn in psychotherapy. Trained as a clinical psychologist, she practiced therapy for many years. She is the author of numerous scholarly articles and chapters about psychotherapy and is a fellow of the American Psychological Association Divisions 29 (Psychotherapy), 12 (Society of Clinical Psychology), and 24 (Society for Theoretical and Philosophical Psychology, of which she was elected President in 2007). She has a long-standing interest in the philosophy of science, in particular the ontological and epistemological underpinnings of psychological inquiry. In this regard, Professor Held has published in and reviewed for the Journal of Theoretical and Philosophical Psychology and Theory & Psychology, among other journals, and she is the author of Psychology’s Interpretive Turn: The Search for Truth and Agency in Theoretical and Philosophical Psychology (American Psychological Association Books, 2007). In her popular book Stop Smiling, Start Kvetching: A 5-Step Guide to Creative Complaining (St. Martin’s, 2001) and in subsequent scholarly articles, she has challenged what she calls the “tyranny of the positive attitude in America” and as a result has become a leading critic of the positive psychology movement. This work has led to extensive worldwide media attention, including features in The New York Times and People magazine as well as appearances on the Today show, National Public Radio’s Talk of the Nation and a 2007 edition of All Things Considered, the BBC, and the CBC. Osbeck, L .M., & Held, B. S. (Eds.). (2014). Rational Intuition: Philosophical Roots, Scientific Investigations. New York, NY: Cambridge University Press. Bohart, A. C., Held, B. S., Mendelowitz, E., & Schneider, K. J. (Eds.). (2013). Humanity’s Dark Side: Evil, Destructive Experience, and Psychotherapy. Washington, DC: American Psychological Association. Held, B.S. (2001). Stop Smiling, Start Kvetching: A 5-step Guide to Creative Complaining. New York: St. Martin's Griffin. Held, B.S. (1995). Back to Reality: A Critique of Postmodern Theory in Psychotherapy. New York: W.W. Norton. Held, B. S. (in press). Anything goes by the wayside: Reply to Raskin and Debany. Journal of Constructivist Psychology. Held, B. S. (in press). Positive psychology’s a priori problem. Journal of Humanistic Psychology. Held, B. S. (2016). Why clinical psychology should not go positive—and/or negative. In A. Wood & J. Johnson (Eds. ), The Wiley Handbook of Positive Clinical Psychology. New York City: Wiley. Held, B. S. (2016). Negativity and well-being: Commentary on Ryff. Psicologia della Salute, 1, 39-43. Held, B. S. (2014). Realism, reification, and monism. Journal of Theoretical and Philosophical Psychology, Vol 34, 187-194. Held, B. S. (2013). Feeling bad, being bad, and the perils of personhood. In A. C. Bohart, B. S. Held, E. Mendelowitz, & K. J. Schneider (Eds. ), Humanity’s Dark Side: Evil, Destructive Experience, and Psychotherapy. Washington, DC: American Psychological Association. Held, B. S. (2011). Critique and metacritique in psychology: Whence and whither. Journal of Theoretical and Philosophical Psychology, 31, 184-192. Held, B. S. (2010). Why there is universality in rationality. Journal of Theoretical and Philosophical Psychology, 30, 1-16. [Presidential Address of the Society for Theoretical and Philosophical Psychology, American Psychological Association]. Held, B. S. (2009). Psychological kinds and “discourse-dependence”: A reply to Martin and Sugarman. Theory & Psychology 19, 123-129..
Held, B. S. (2008). Combating the tyranny of the positive attitude. In J. Allison and D. Gediman (Eds. ), This I believe II: More personal philosophies of remarkable men and women (pp. 106-108). New York: Henry Holt. Held, B. S. (March 12, 2008). Problematizing the “Problem” of Consciousness. [Review of the book Consciousness and mental life]. PsycCritiques/Contemporary Psychology: APA Review of Books. APA Online, Vol 53, No. 11, Article 1. Held, B. S. (2005). The "virtues" of positive psychology. Journal of Theoretical and Philosophical Psychology, 25, 1-34. Held, B. S. (2005). In Memoriam (Edward Pols). Review of Metaphysics, 59, 493-495. Held, B.S. (2002). The tyranny of the positive attitude in America: Observation and speculation. Journal of Clinical Psychology, 58, 965-992. Held, B.S. (2002). What follows? Mind dependence, fallibility, and transcendence according to (strong) constructionism's realist and quasi-realist critics. Theory and Psychology, 12, 651-669. Held, B.S. (2001). Anti-scientific attitudes within psychotherapy: Concluding comments. Journal of Clinical Psychology, 57, 53-62. Held, B.S. (2001). The postmodern turn: What it means for psychotherapy -- and what it doesn't. In B.D. Slife, R. N. Williams, & S.H. Barlow (Eds.) Critical Issues in Psychotherapy. Thousand Oaks, CA: Sage. Held, B.S. (2000). General systems theory and philosophy. In A. E. Kazdin (Ed.) Encyclopedia of Psychology. Washington, DC: American Psychological Association and Oxford University Press. Held, B.S. (2000). To be or not to be theoretical: That is the question. Journal of Systemic Therapies, 19, 35-49. Held, B.S. (1999). Reasons and reason: A reply to Morrision. Symposium, 3, 43-52. Held, B.S. (1998). The many truths of postmodernist discourse. Journal of Theoretical and Philosophical Psychology, 18, 193-217. Held, B.S. (1998). The antisystematic impact of postmodern philosophy. Clinical Psychology: Science and Practice, 5, 264-273. Held, B.S. (1996). Constructivism in psychotherapy: Truth and consequences. Annals of the New York Academy of Sciences (The flight from science and reason), 775, 198-206. Held, B.S. (1992). The problem of strategy within the systemic therapies, Journal of Marital and Family Therapy, 18, 25-34. Held, B.S. (1991). The process/content distinction in psychotherapy revisited. Psychotherapy, 28,207-217.